And she's even swearing! What will fall out of her mouth next? I didn't even have- you know- breasts." She lowers her voice at the word "breasts." "We're alone, Signy. And you got your breasts." "Small ones," she says with a sob. "Oh, for pete's sake. Everybody's are different. Even cows." "Yes, but now," she goes on, recovering herself, "when I try to stand up straight I can't because one shoulder is lower than the other and my back is humped on one side. Even if I get out of this place, even if I dress up in the prettiest, most expensive clothes in the world, I won't look like a normal girl and that's never going to change, now is it? Really it won't." What can I say to that? She's right. It won't. "And who will love me?" she adds in a small voice. It is 1941 in Manitoba and fifteen year old Marie Claire Côté knows that, " TB crawls up to your back door and howls like a hungry wolf nobody saw coming." Yet the Côté family is startled to discover that their uncle Gérard, who lived a hard life and had recently come to live them, is diagnosed with tuberculosis. Shortly after losing their uncle to tuberculosis Marie-Claire, along with her two siblings, were sent to the Pembina Hills Sanatorium. Despite living in a Sanatorium with a terrible disease Marie Claire still wondered if she would ever fall in love, worried about her appearance, thought about her family, came face to face with death, struggled with friendships, and even fantasized about her future. Brooks eloquently captures the fears and life of a young teen-age woman battling tuberculosis during World War II. Even though Marie Clarie's struggles depict life in the 1940's I beleive that young adult readers in 2011 will be able to identify with some of the same feelings and experiences that she encounters. Queen of Hearts also brings to the forefront the many hardships families faced during WWII, as well as the impact and significance of tuberculosis in Candian history. In many ways this is a significant part of our history, but it is important to realize that it is still an ongoing problem in Canada today. For more information about tuberculosis in Canada visit Saskatchewan Health or the Public Health Agency of Canada. 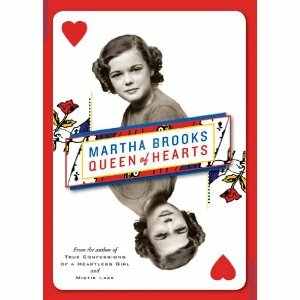 Even though Queen of Hearts is a fictional story, Martha Brooks writes from firsthand experience. Brooks was raised on the grounds of the Ninette Sanatorium in southwest Manitoba and her father`s position as a medical superintendent also took them to the Trudeau Sanatorium in upstate New York. After discovering a haunting black and white photogtraph of an unidentified tubercular boy with his thin and sad sisters, Brooks was inspired to create a story. After you read Queen of Hearts you will realize that it is not just a story. It is our story, a piece of our history. Grade 9 Health: Stigma and identities associated with individuals, families, and communities living with/affected by non curable infections/diseases, and those who advocate from them. Buy WOW Gold of other games.